The McCourty twins are back in Foxborough. 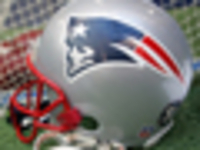 Jason McCourty is staying with the New England Patriots on a two-year deal, a source told NFL Network's Mike Garafolo on Wednesday. The New England Patriots have given Josh Gordon a low restricted tender worth $2.025 million, according to Tom Pelissero. The wide receiver remains suspended indefinitely. The Patriots did not use the franchise tag on defensive end Trey Flowers, kicker Stephen Gostkowski and offensive tackle Trent Brown, making each player eligible to become an unrestricted free agent. With his twin brother already set to return in New England, impending free agent cornerback Jason McCourty would like to remain a fixture in the Patriots secondary for 2019. After coming aboard to help the New England Patriots win Super Bowl LIII, and flirting with the idea of retirement in the buildup, veteran safety Devin McCourty announced he will resume his career in 2019. Boston Globe baseball writer Nick Cafardo, who covered the Red Sox and the rest of the sport for more than three decades, died Thursday after collapsing outside the team's spring training clubhouse. 4/10 Austin Seferian-Jenkins (TE) Unrestricted Free Agent Signing (unrestricted free agent signing).